An ethusiastic crowded danced, and enjoyed music from performers at the concert. Finding a summertime event for her entire family – including the dog – hasn’t been easy for Lakesha Thompson. 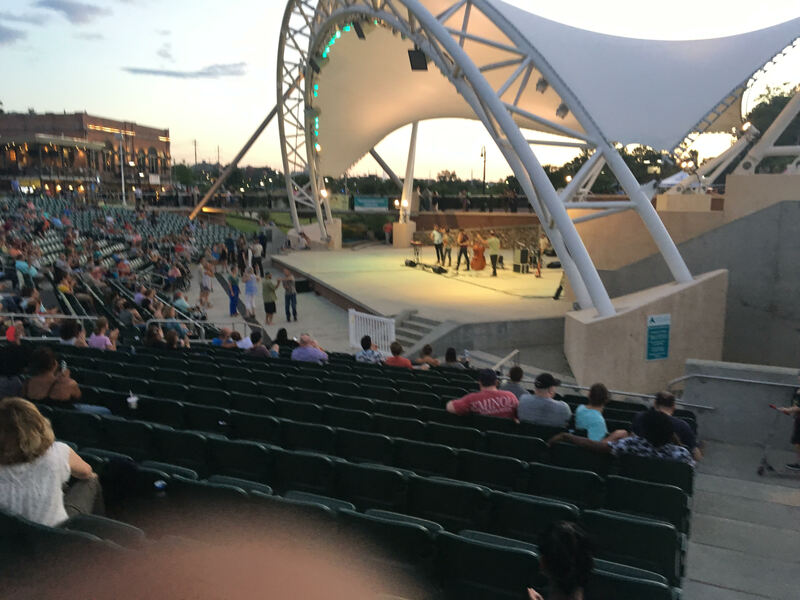 This past weekend she found just such an event at the Sundown Summer Series in Cascades Park, where an enthusiastic audience enjoyed a wide genre of music from a few bands. There was plenty for children to do too, including face painting and games. Adults had a variety of food and drink vendors to choose from. The three-hour event this past Saturday night was perfect for Thompson. “I loved being here with my family (because) it’s really a great event,” she said. “I can get the kids out of the house during the summer and bring my dog because she is a part of the family, too. This year’s event attracted thousands on a humid overcast night. Some spectators took in the night’s entertainment from the seats in front of the stage, while others lounged in an open grassy area. The Futurebirds, Humming House, Roosevelt Collier Trio, and Dead Keys put on a rousing show that brought some of the audience to dancing on a landing in front of the stage. 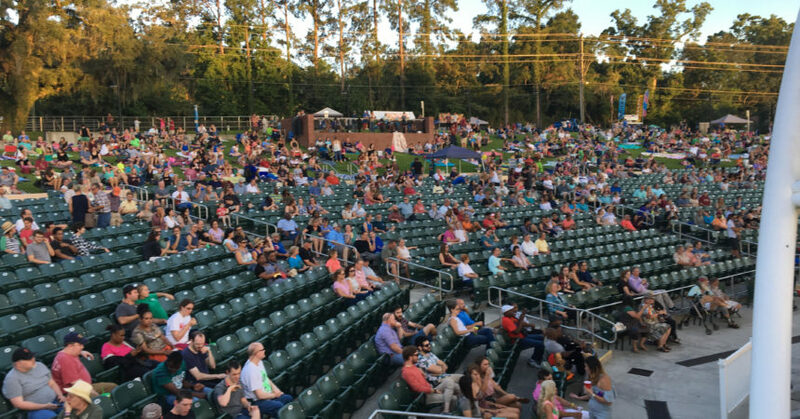 The music series is the brainchild of Tallahassee Downtown Improvement Authority in an attempt to bring a quality of life event to the city. The agency joined forces with Grove Consulting, an event planning and media-consulting company, to stage the event. Several Tallahassee businesses also assisted in defraying the cost of the series. Additionally, city government helped to make the event cost-effective by waiving park fees and assisting with logistics. In yet another move to increase attendance, organizers are allowing spectators to bring their own bottle this year. The only other option that fans had previously for wine and beer was to purchase from an on-site charity organization or pay more from a near-by restaurant. The monthly series will conclude with two more shows on July 15 and Aug. 19, beginning at 7 p.m. each night. Will civility after shooting last and lead to action?